The U.S. is actually fighting Pakistan in Afghanistan and, ultimately, the outcome will be determined by the Chinese. The so-called U.S. “alliance” with Pakistan in the fight against radical Islam is a farce because, long ago, Pakistan decided to use radical Islam as one pillar of its security policy, the others being nuclear weapons and China as its chief geopolitical patron. The Taliban are simply Pashtun cannon fodder that Pakistan uses to maintain Afghanistan as a client state. President Trump’s 4,000-man troop increase is matched by a greater number of potential Jihadis currently being brainwashed in Pakistani-sponsored Deobandi madrasas and awaiting deployment to Afghanistan. Pakistan not only controls the battle tempo in Afghanistan, it controls the supply of our troops. In the past, when pressure was exerted by the U.S. on Pakistan for its support of the Taliban and other terrorist groups like the Haqqani network, those supplies were interrupted or convoys were attacked by Pakistani-sponsored terrorist groups operating inside of Pakistan. That is, the strategic conditions in South Asia make the success of President Trump’s Afghanistan policy, which is, more or less, a continuation of the policy pursued over the last sixteen years, virtually impossible. In any case, the President’s policy will unlikely affect the direction of events in South Asia, only delay them, while U.S. withdrawal would hasten the inevitable. Islam, especially its radical manifestation, is the “glue” that holds Pakistan together, an otherwise artificial state composed of ethnic groups that never interacted in any significant way. Since the late 1970s Pakistan pursued a policy of “Islamization” with the proliferation of religious schools and religious political parties. Ethnic separatism was suppressed and Islamic fighters were found to be useful proxies for the Pakistani military and its intelligence service, the ISI, particularly against India and Afghanistan. But Pakistan has lost control of its “Islamization” process. Ever more extreme and intolerant Salafist groups are increasing and expanding their influence, fueled by Arab Wahhabi money and transnational Jihadi ideologies like ISIS. The trajectory is, not just a pre-9/11 Taliban-controlled Afghanistan, but a much larger radical Sunni entity that spans the Afghan-Pakistan border, completing the encirclement of Iran and creating a Sunni-Shia powder keg. It is China, which has made a huge strategic investment in Pakistan, that has the most to lose from regional instability and which also has the greatest influence in Islamabad. The China-Pakistan Economic Corridor (CPEC), which is part of China’s larger Belt and Road Initiative (BRI), aims to connect Asia through land-based and maritime economic zones. CPEC is an infrastructure project, the backbone of which is a transportation network connecting China to the Pakistani seaports of Gwadar and Karachi located on the Arabian Sea. China is expanding the port of Gwadar and its international airport, perhaps as preludes to the establishment of Chinese military bases near the entrance of the Persian Gulf. In those respects, the traditionally secular Balochistan, Pakistan’s southwestern province bordering Afghanistan and Iran, has become a strategic center of gravity both because of the increase of radical Sunni groups there and its economic and military importance to China. There is leverage — potential pain points — that U.S. strategists should consider exploiting. 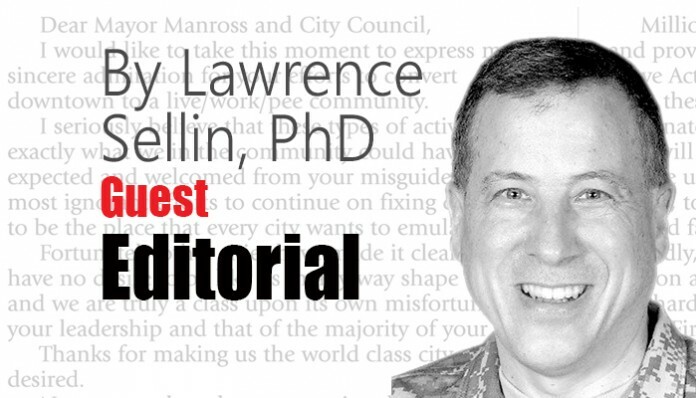 Lawrence Sellin, Ph.D. is a retired US Army Reserve colonel, an IT command and control subject matter expert, trained in Arabic and Kurdish, and a veteran of Afghanistan, northern Iraq and a humanitarian mission to West Africa.